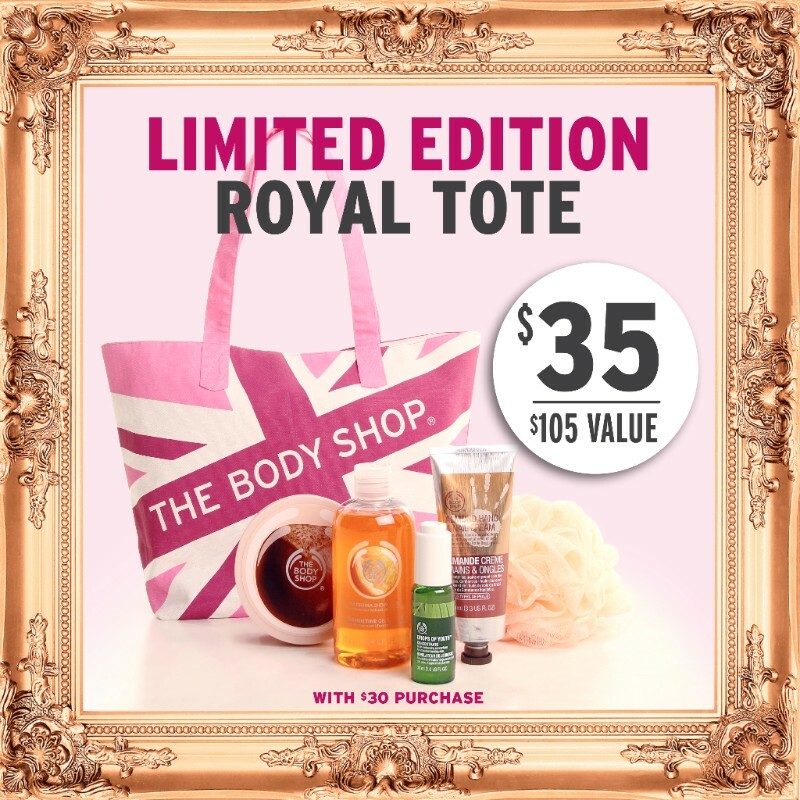 Treat mom like a Queen this Mother's Day with The Body Shop British Rose! 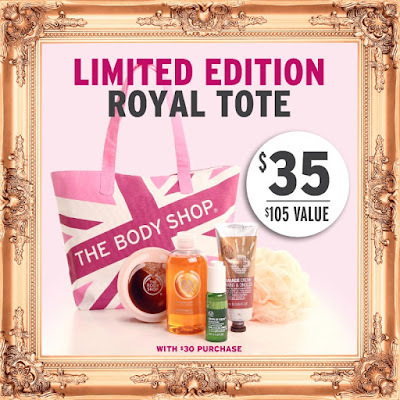 It's almost Mother's Day and while your mom probably isn't as hard to shop for as the Queen, there's no reason not to treat her like one with The Body Shop British Rose collection! There is lots to love about the British Rose collection - with organic roses grown in Herefordshire, England that are hand-picked, air-dried and then infused into fresh mountain water to create a quintessentially feminine scent. The collection captures the true beauty of roses, revealing a healthy glow and petal-soft skin. There are some great gift sets including the one pictured - British Rose Deluxe Collection - $65 - that includes: 60ml Shower Gel, 50ml Vitamin E Moisture Cream, 200ml Body Butter, 250ml Body Essence and 100ml EDT. While supplies last, pick up this fabulous Mother's Day Tote filled with all kinds of goodies - 30ml Drops of Youth Concentrate, 200ml Shea Body Butter, 200ml Satsuma Shower Gel, 100ml Almond Hand & Nail Cream and a Cream Bath Lily - for only $35 with a $30 purchase! And take heart, if the Queen really was your mom you would have absolutely no shot with Prince Harry!